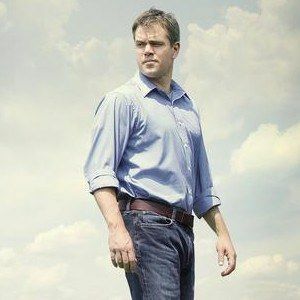 Writer/actor Matt Damon reteams with his Good Will Hunting director Gus Van Sant for the topical drama Promised Land, in theaters this weekend. Damon co-wrote the screenplay with The Office star John Krasinski, who also stars. The story follows a salesman for a natural gas company who experiences life-changing events after arriving in a small town, where his corporation wants to tap into the available resources. We caught up with director Gus Van Sant, Matt Damon, and John Krasinski, as well as actress Rosemarie DeWitt, for a series of interviews about the movie. Watch our exclusive interviews to learn more about the art of fracking.